The Wankhede Stadium, Mumbai will host the 27th match of IPL 2019 between Mumbai Indians and Rajasthan Royals. A sea of blue will welcome the Men in Pink at the venue. 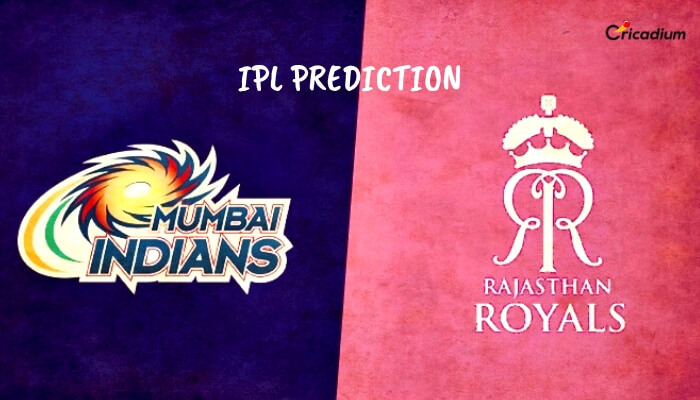 Keep reading to find out the IPL 2019 Match 27 MI vs RR Match Prediction. After a stuttering start, Mumbai Indians have found form. They have won 3 matches in a row and have raised themselves in the top 4 on the points table. All of their last 3 victories have come against quality oppositions. Chennai Super Kings, Sunrisers Hyderabad and Kings XI Punjab were defeated by Mumbai that marked their comeback in the league. But RR hasn’t had a great campaign so far. The Ajinkya Rahane-led side has lost 5 out of 6 matches. In the last game against CSK at home, they came close to winning. But MS Dhoni and Ambati Rayudu snatched away the game. Now, RR will have an even tougher task of taking on MI in their own backyard. IPL 2019 MI vs RR Match Prediction: Mumbai Indians have found great momentum after 3 great consecutive wins. On the other hand, RR has been struggling big time. Hence, MI will be the preferred choice for the winner prediction.